I recently came upon a a beautiful piece of driftwood that a gentlemen was advertising for sale for use in an aquascape. Now I had no real idea what he meant by an aquascape but the driftwood piece was very interesting and had me intrigued. So much so, that I decided to do an internet search on the term “aquascape” to get a better understanding of an aquascape and how driftwood was being used in driftwood aquascapes. It seemed obvious enough – a scene featuring water instead of land and using driftwood, but there seemed to be something more to it. One look at the images I was finding and I was totally hooked and wanted to know even more. Here is a picture of the initial piece of driftwood that caught my interest. Pretty cool right? Apparently, there is a whole group of devoted and very talented Aquascapers who spend painstaking hours creating absolutely stunning aquascapes that are nothing short of “unworldly” in their presentation. If you can imagine fish swimming through a forest or passing you by on a rolling grassy hill, then you have a pretty good idea of what some of the scenes can look like. Some are very fairytale like while others capture and imitate their counterpart landmarks. All are made using driftwood, sand and natural elements and take 6 months or more just to establish. Planted Aquarium Design entitled “Morning Forest” by Pavel Bautin of Saint Petersburg, Russia – exquisite – an underwater forest. And there are worldwide contests featuring the best aquascapes with quite a large following of aquascapers. It seems to me that it would be a very calming hobby and that one would like to sit back and enjoy these beautiful aquascapes once they are fully established but, from what I’ve read, these professional aquascapers usually finish one and then dismantle it and on to the next one. Aquascapers look to include stones, sand and driftwood to create the most natural looking aquascape and finding just the right piece or pieces of driftwood is crucial. You want to make the scene look as natural as possible. Consider varying sizes, height and width of your driftwood and the type of scene you are looking to create. 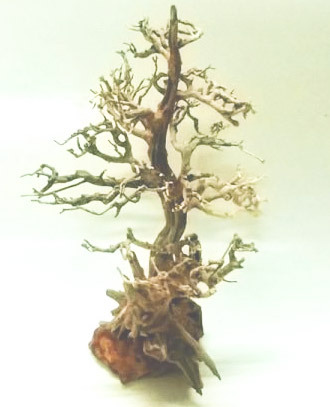 Manzanita and Malaysian oak are two good choices in driftwood for aquascapes. “Country of Soul” aquascape by Tatiana Timirbulatova of Samara, Russia that just looks like more like a sunset at the beach – amazing. 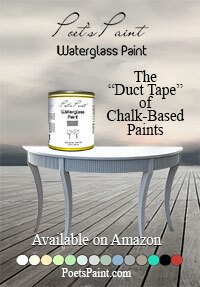 Form the size you want by breaking the ends of branches – not sawing or using any tool. Breaking will create a more natural look. Soak your driftwood pieces for at least 2 weeks or more in plain water to remove the tannins which will otherwise discolor your aquascape. Change out your water every few days until you no longer have any change of color after soaking for a few days. 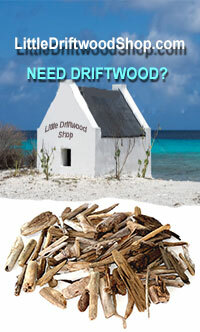 Only then will your driftwood pieces be ready for your aquascape. I can appreciate this creative hobby for it’s use of driftwood and it’s obvious skill level. Personally, I would want to enjoy one of the established underwater gardens once I had it created. It just seems like it would be so calming and mesmerizing. To me, they are absolutely beautiful. “Lost Beach” by Mustafa Sezgen of Kocaeli, Turkey – can you believe this is an underwater landscape? Amazing. Notice the driftwood trees? If you would like to learn more about Aquascaping in general and driftwood aquascapes, here is a good link. AquaScaping World Magazine.